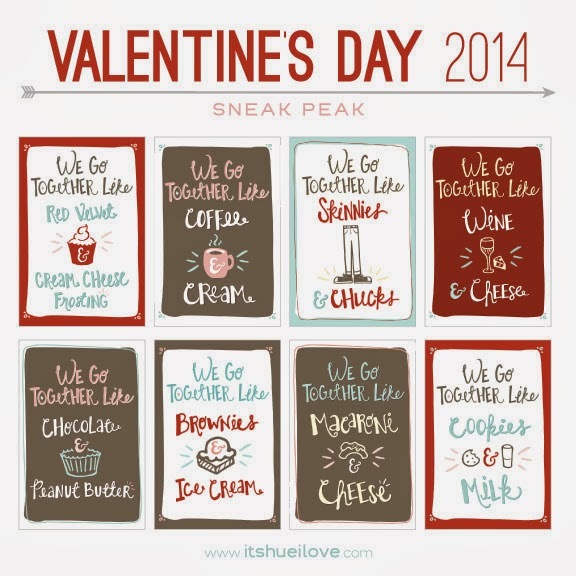 it's hue i love: Valentine's Day Sneak Peak! Happy New Year y'all! I hope your holidays were fantastic like mine. 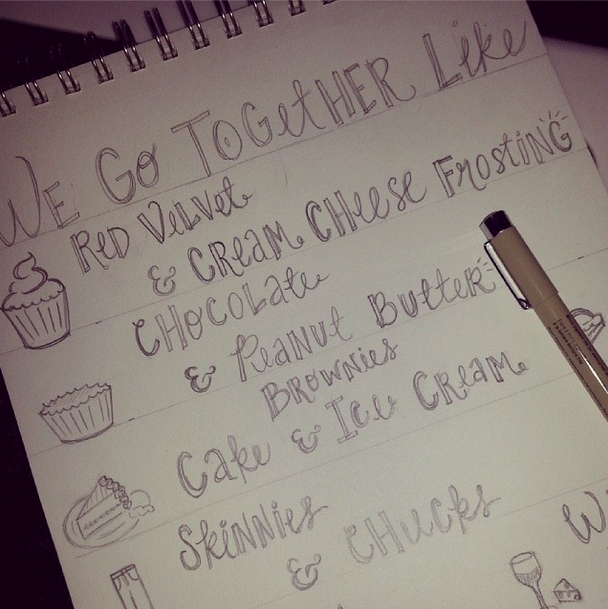 I've been working hard on my Valentine's Day 2014 cards and I'm ready to share a sneak peak with you guys. Then I ink, but sadly, I have no pictures of that part. Then I scan, retouch in Photoshop, bring it into Illustrator and turn it into vector, clean up, add some color, clean up some more, change the colors, move things around a bazillion times, and… WAHLAH! The next step is to print them out all nice and pretty, cut them, and then fold them all up! These will be available in my SHOP (hopefully) before the end of the week.